The Microbiologist oversees the Quality Control operations in the factory. 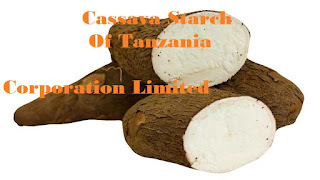 He/She ensures thatCSTC produces High-Quality Cassava Flour for the satisfaction of the clients and withinproduct specifications. He/She manages the Quality Control department of the factory, whichincludes two laboratories (WIP and FP) and the factory environments. He or She is responsibleto avoid any form of contamination of the product. i. Lead and closely follow-up on all product samples that are taken for quality control. ii. Ensure that the produced goods are of the prescribed quality, incl. compliance withboth Tanzanian and international standards (TBS, TFDA). iii. Manage all other subordinates including laboratory technicians and Samplers. iv. Monitor lab equipment and is responsible for their working conditions; organizemaintenance and needed procurement and supplies for the controls. v. Train and coach his team members, maintain and update department’s StandardOperating Procedures. vi. Perform Finished Products quality controls, analyze and record test results. vii. Supervise WIP products quality controls, assist lab technicians in that task if needed. viii. Together with Shift-Leaders, set and lead corrective action plans. ix. Together with Shift-Leaders, ensure factory cleanliness for appropriate productionconditions. xi. Monitor process water quality on a daily basis. xii. Lead frequent analysis of waste water to ensure suitability for releasing. xiii. Communicate with Plant Manager. xiv. Complete department’s paperwork; Produce daily/weekly reports for managementreview and action taking. i. Minimum Qualification is a Bachelor degree in Micro-Biology/FoodTechnology/Food Production Science/another equivalent field. ii. At least 3 years of working experience in Food Production industries with provedachievements and experience of leading staff and achieving high team performance. iv. Holding a valid Driving certificate & Driving License. i. Attractive remuneration for a successful candidate. Cover letter should be addressed to: - HR & Corporate Affairs Manager, Cassava Starch of Tanzania Corporation Limited, P.o.Box 660 Lindi. NOTE: No CV will be received in hard copy only e mail is allowed. Our ideal shift-leader is able to respond immediately for any technical problem on the machinery and has a strong understanding and know-how about electricity. He/She makes quick and appropriate decisions and communications to tackle encountered troubles. i. Manage his/her team, lead the shift towards achieving factory targets. ii. Ensure a clean and safe work area. iii. Supervise production line operations in accordance with plant policies and procedures. iv. Responds quickly and practically to emergencies, crises, or unexpected problems during the shift. v. Coordinate with Human Resources for appropriate staffing levels. vi. Train and coach shift employees; Conduct employee performance reviews. vii. Schedule and conduct shift meetings. viii. Responsible for shift schedule to include: employee training, vacations, breaks, overtime assignment, back-up for absent employees. ix. Coordinate production startups, shutdowns, and changeovers. x. Responsible to meet shift production goals. xi. Responsible for quality control, together with Plant’s Micro-Biologist. Makes adjustments as necessary during shift to produce product within specifications. xii. Communicate with Plant Manager. xiv. Assist in production as necessary. xv. Other duties as assigned. ii. At least 5 years of working experience in Production industries with proven achievements and experience of leading staff and achieve high team performance. iv. Is capable of disciplining or reprimanding employees when necessary. vi. Manual dexterity required for operating machinery and computers. vii. Ability to lift up to 30 pounds required. viii. Basic reading, writing, and arithmetic skills required. High School Degree or relevant experience. 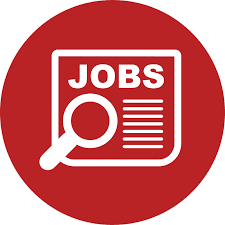 - HR & Corporate Affairs Manager, Cassava Starch of Tanzania Corporation Limited, P.o.Box 660 Lindi.